Okay it MIGHT not be a murderous transdimensional statue. Also RUNFACE. Which this week also looks like ‘About to be brought down by a colossal murderous statue monster in one of those ’90s monster movies only I still like and I’m not angry about it as more kind of exasperated.’…Face. –Superhero Workout -None! Back off the horse! –DDP Yoga-3 this week. It’s surprisingly easy to set the mats up and spend 10 minutes doing this while watching something. Which means multitasking, Yoga and a movie all at once. Efficiency! –Zombies Run Couch to 5k 85 seconds 4 times. 100 seconds once. 60 seconds once. 90 seconds once. I’m really pleased with that, especially being able to recover enough to do the extra bonus chunks. When I beat the Blerch, it’ll be because I’m able to stitch these segments together and the higher my endurance the easier that’ll be. 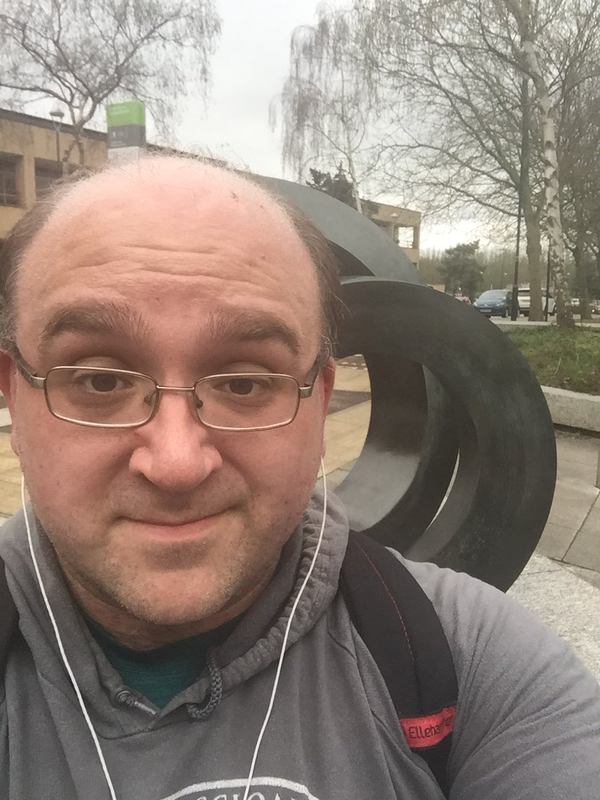 Plus having now done the maths I’ve realized I walk substantially more than the 5k every day so running it is…well it’s still running it. But it’s not like this is a distance I’m not comfortable with and that’s a big plus. Next week, SCIENCE! I’m trying an interval timer to make sure I’m hitting 90 seconds running and 30 seconds walking. We’ll see what the Body Image Goblin has to say about that.